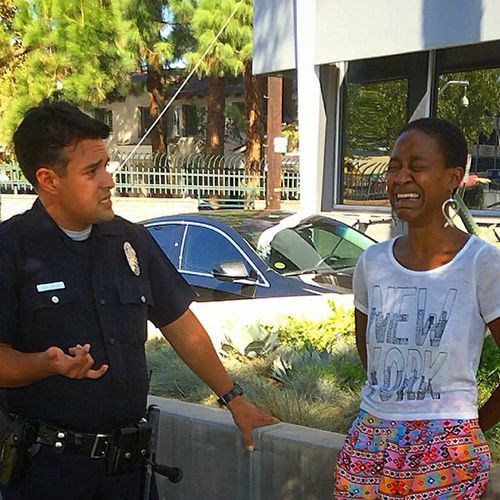 In what seems to be yet another case of police prejudice and brutality, Django Unchained star Daniele Watts and her husband are speaking out about a wrongful arrest, where Studio City Police mistook the couple for a prostitute and her "trick". Another day, another case of police foolery. While its understandable that police departments would want to crack down on prostitution and illegal behavior in communities, it's simply unfortunate that racial prejudices can cloud an officer's take on "right" and "wrong". And who actually is, in fact, actually engaging in criminal behavior. 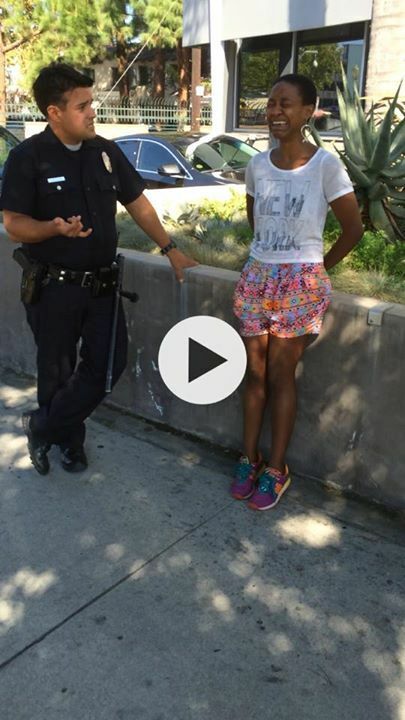 Daniele Watts, who played "CoCo" in Django Unchained and currently stars as Martin Lawrence's daughter on the FX show "Partners", says she was wrongfully arrested on September 11th after being mistaken for a prostitute! How is this possible? She was dressed in "short shorts", a t-shirt and sneakers, which is the same outfit plenty of people wear to live out their day. 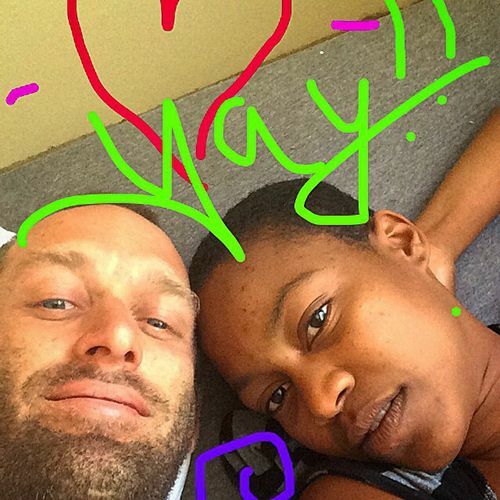 And she was spotted sharing a PDA moment with a white man -- HER HUSBAND. 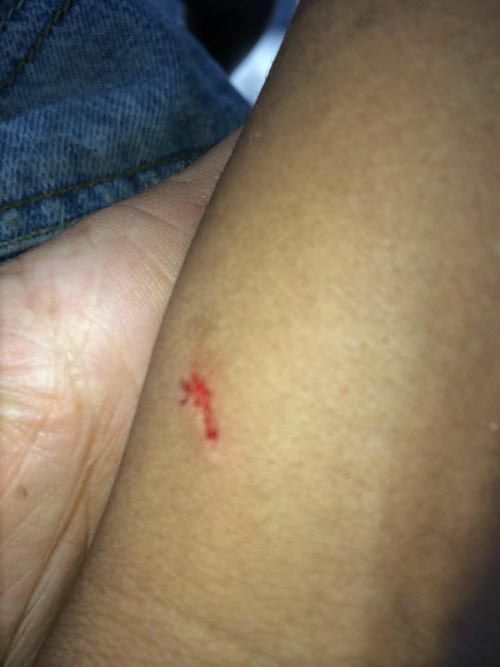 The couple has also shared pics and video from the dramatic situation. Daniele was handcuffed after refusing to show ID (which she says she was within her rights to not do, based on the law). And both she and her husband are now telling the frightening & frustrating story of how they were accosted, forcefully handled, and the physically and emotional hurt. Today I was handcuffed and detained by 2 police officers from the Studio City Police Department after refusing to agree that I had done something wrong by showing affection, fully clothed, in a public place. When the officer arrived, I was standing on the sidewalk by a tree. I was talking to my father on my cell phone. I knew that I had done nothing wrong, that I wasn’t harming anyone, so I walked away. A few minutes later, I was still talking to my dad when 2 different police officers accosted me and forced me into handcuffs. As I was sitting in the back of the police car, I remembered the countless times my father came home frustrated or humiliated by the cops when he had done nothing wrong. I felt his shame, his anger, and my own feelings of frustration for existing in a world where I have allowed myself to believe that “authority figures” could control my BEING… my ability to BE!!!!!!! I was sitting in that back of this cop car, filled with adrenaline, my wrist bleeding in pain, and it occurred to me, that even there, I STILL HAD POWER OVER MY OWN SPIRIT. Those cops could not stop me from expressing myself. They could not stop the cathartic tears and rage from flowing out of me. They could not force me to feel bad about myself. Yes, they had control over my physical body, but not my emotions. My feelings. My spirit was, and still is FREE. I will continue to look any “authority figure” in the eye without fear. NO POLICE OFFICER OR GOVERNMENT OFFICIAL IS MORE POWERFUL THAN ME. WE ARE EQUALS. I KNOW THAT I WILL ALWAYS BE FREE BECAUSE THAT IS THE NATURE OF MY SPIRIT. And moreover, I deeply enjoyed connecting with the cops who detained me. I allowed myself to be honest about my anger, frustration, and rage as tears flowed from my eyes. The tears I cry for a country that calls itself "the land of the free and the home of the brave" and yet detains people for claiming that very right. Today I exist with courage, knowing that I am blessed to have experienced what I did today. All of those feelings, no matter how uncomfortable. These feelings are what builds my internal strength, my ability to grow through WHATEVER may happen to me. That internal knowing is what guides me in this world. Not the law, not fear, not mistrust of government or cops or anything else. In this moment there is a still small voice whispering to me. It says: You are love. You are free. You are pure. Today, Daniele Watts & I were accosted by police officers after showing our affection publicly. From the questions that he asked me as D was already on her phone with her dad, I could tell that whoever called on us (including the officers), saw a tatted RAWKer white boy and a hot bootie shorted black girl and thought we were a HO (prostitute) & a TRICK (client). This is something that happened to her and her father when she was 16. What an assumption to make!!! Because of my past experience with the law, I gave him my ID knowing we did nothing wrong and when they asked D for hers, she refused to give it because they had no right to do so. So they handcuffed her and threw her roughly into the back of the cop car until they could figure out who she was. In the process of handcuffing her, they cut her wrist, which was truly NOT COOL!!! Our freedom isn't freedom folks, when people can abuse others with no reason or evidence at all just because they "think" they have been given the power by people that are ONLY equal to us. Of course, they had to let her go eventually cuz we weren't a threat to anyone. They weren't expecting D to be so intelligent and outspoken, and left truly feeling the fear vibration finding out that they had just fucked with 2 celebrities (Celebrated People). WE ALL HAVE THE SAME POWER INDIVIDUALLY IN THIS WORLD, AND I'M GLAD WE'RE ALL TAKING IT BACK ONE BEING AT A TIME! 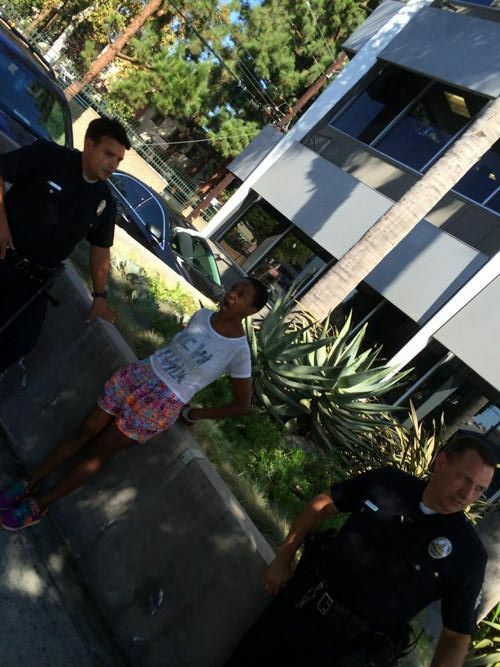 The Studio City police dept handcuffed (and injured her wrist while handcuffing) and detained #DanieleWatts because she refused to give ID with no probable cause, just because we were displaying public affection. NOT COOL AT ALL!!!! But why were they approached or accosted in the first place? The couple seems to believe it's because of their interracial interaction on the street, which led cops to incorrectly assume a prostitution situation was occurring. 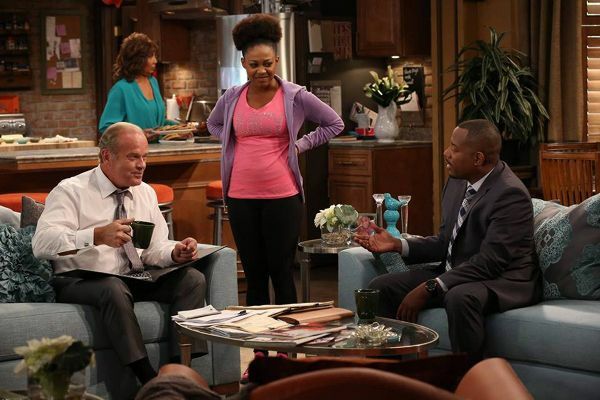 Brian says the couple is in contact with three lawyers, the ACLU, and the NAACP.